Patio season hasn’t quite arrived yet but we’ve already started thinking about what we’d like to make ourselves this year that will help us take full advantage of that outdoor space. This year, we think we’d like to try our hand at making an impressive bench! 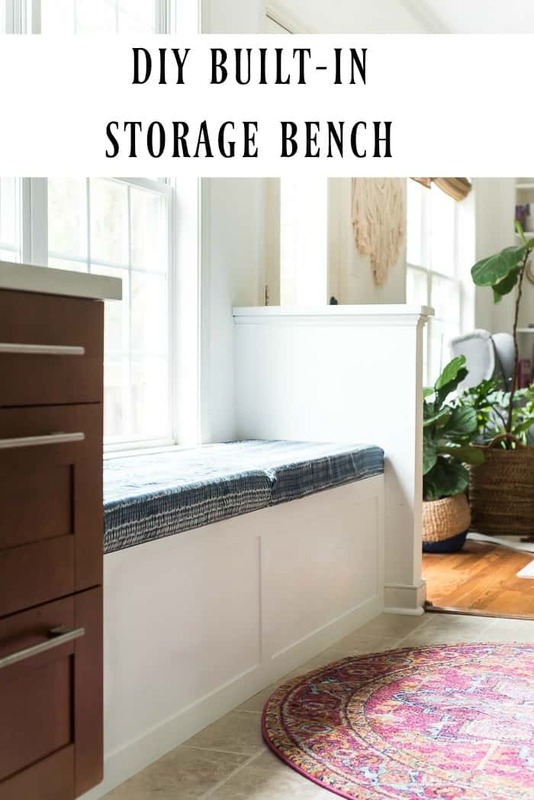 Even if you’d rather make a furniture piece for an empty indoor space you’ve been hoping to fill, a DIY bench that your friends and family can use while they put their shoes on in the entryway or something similar is a very satisfying project indeed. 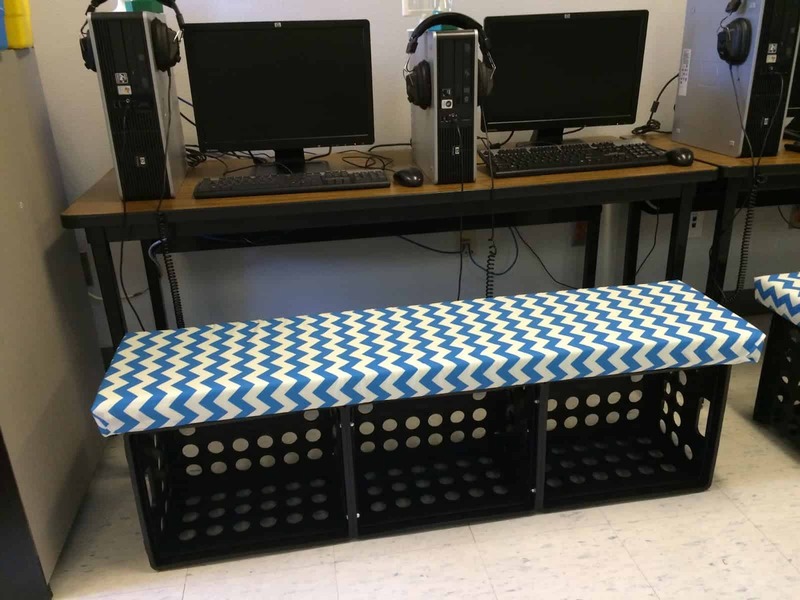 Just in case you’re as interested in the idea of making your very own DIY bench as we were, if not more, here are 15 of the very best designs, ideas, and tutorials we’ve come across in our search for guidance and inspiration so far! 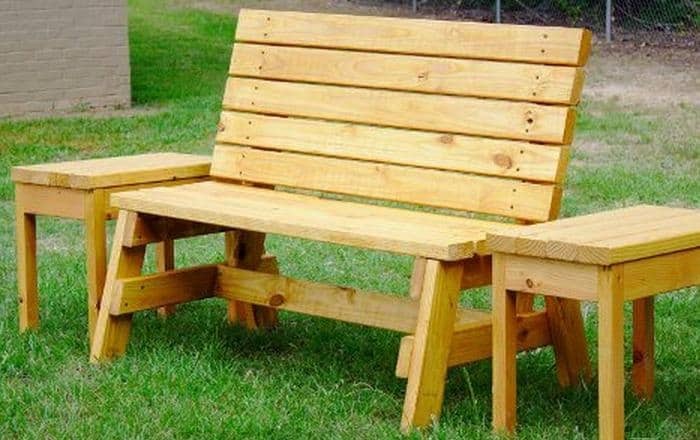 If you’re going to put in all the effort and time it takes to make yourself a homemade bench from scratch, would you prefer to use that as an opportunity to do a bit of upcycling too? 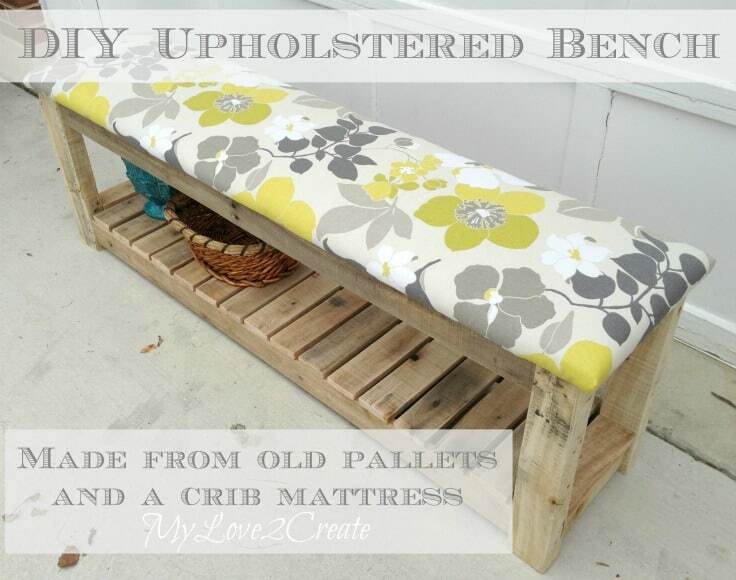 In that case, we’d definitely suggest taking a look at how Pretty Handy Girl used some basic woodworking skills to transform an old bed frame into a bench that features the headboard as a backing! 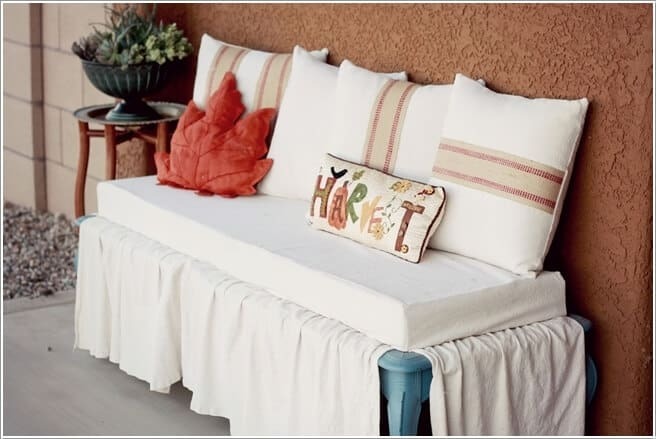 Have you always loved the idea of having a homemade looking bench in your home but the space you’ve got to work with is small and you don’t think you have any straight spots to fit a long seat in? Then perhaps you’d get along a little better with this bench that’s built quite simply to fit right into a corner! We love the way My Repurposed Life made the back from a series of old kitchen chairs. Did we really catch your attention with the idea of making a corner bench but you prefer a sort of minimalist reclaimed look that might suit a cottage or a rustic setting rather than something with backs? 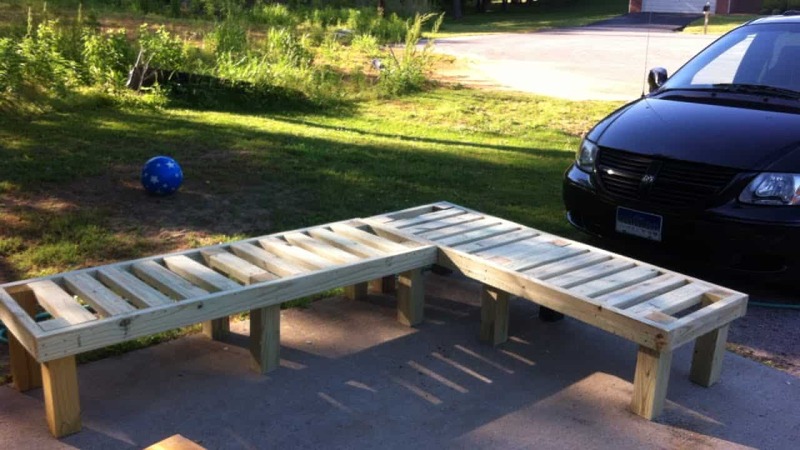 In that case, we’d absolutely suggest taking a look at how Guidecentral used reclaimed pallet wood to make a bench with longer seats, a sharper corner, and no backing. 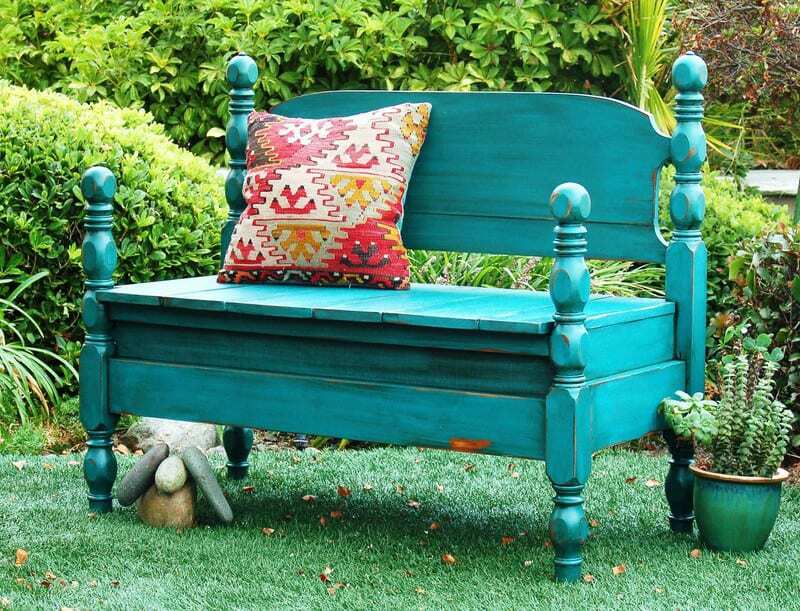 Not every bench you’ll find in the diverse DIY tutorials out there are made of wood alone! Just in case you like a more industrial influenced reclaimed look, here’s an awesome stacked together bench design that’s made from a wooden black for the seat and painted cinder blocks for the frame. Get the full details for making a version of your very own on The Pry Posse. If you’re going to put your basic woodworking skills to good use to make a wooden bench, would you rather make one that’s a little more classic looking so you can give it a neat, clean coat of paint and call it a day? In that case, we’d definitely suggest taking a look at Over The Big Moon did just that! We like this design because it would look great painted in any colour at all. Are you actually still finding yourself scrolling through this list thinking about the idea of making a bench from awesome old reclaimed work chairs? Well, here’s another suggestion for your consideration! 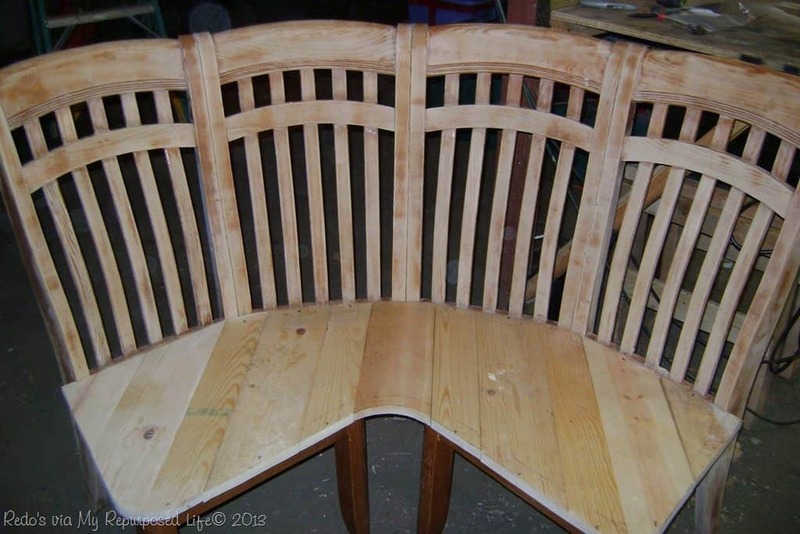 Check out the tutorial on Reasons to Skip The Housework that teaches you how to make a more classically shaped straight bench using the chair backs as they already are! 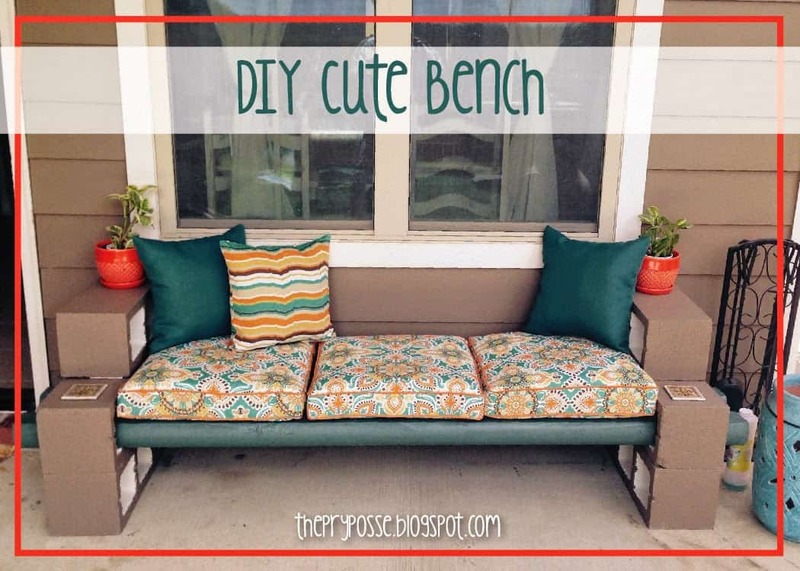 Are you determined to make yourself a cool DIY bench even though you’re a little bit new to the DIY game and you’re not yet convinced that you’re ready to do basic woodworking? Then perhaps you’d prefer simple upcycling instead! We’d definitely suggest taking a look at how Urban Jane transformed an old wooden coffee table into a lovely bench with a skirt and cushions in just a few simple steps. If you’re going to upcycle something, would you actually rather make a piece that actually looks upcycled and purposely homemade? In that case, maybe you’d get along a little better with something like this plastic crate and cushion bench! Ketchin’ Up With Miss Riley shows you how to attach three crates side by side, as well as how to add a comfortable seat on top. Besides being an upcycling, woodworking, or furniture making enthusiast, are you actually also a bit of a green thumb who likes to keep plants around your house whenever you can? 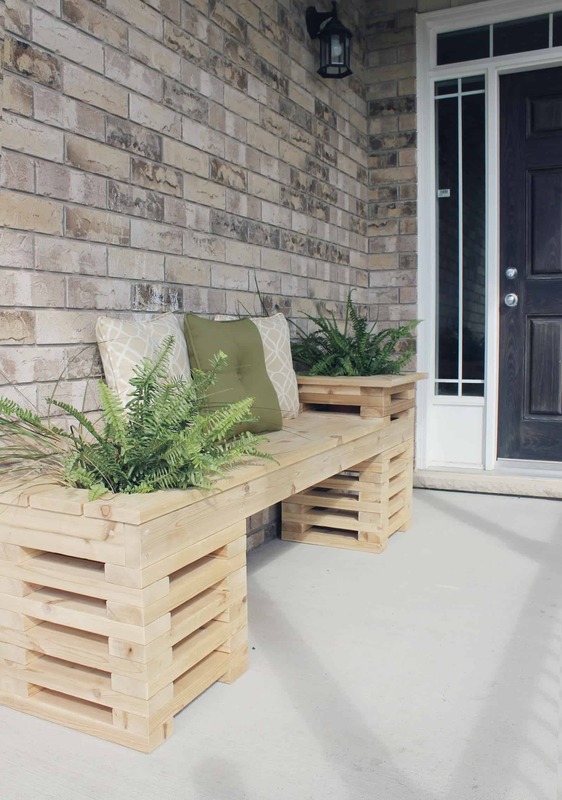 Then we think you’ll get quite a kick out of the way Brittany Stager used simple cedar planks to make this bench that features a planter at either end of the seat so you’re flanked in greenery. Standalone benches aren’t the only kind you can make to put in your house! If you’re feeling committed enough to the idea of a bench that you’d rather make it a more permanent fixture, then we’d definitely suggest taking a look at how Place of My Taste built this fantastic inset storage bench that actually has a bit of simple storage inside. Did we really catch your attention when we started talking about the way an upcycled piece can look new and shiny when you’re done or charmingly rustic and purposely upcycled because you’ve been aiming for the latter’s aesthetic? 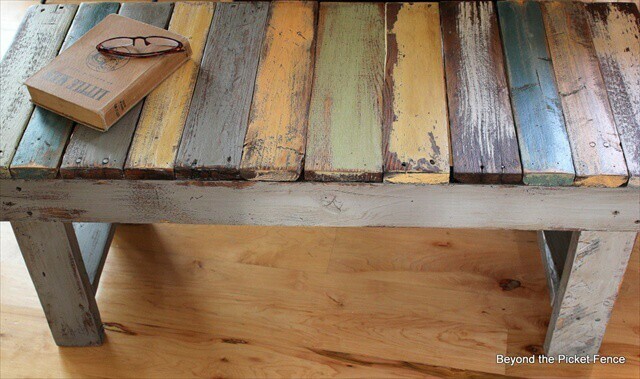 Then we think you’ll get a real kick out of the way 99 Pallet Ideas purposely chose differently coloured and weathered planks upcycled from different kinds of wooden pallet. 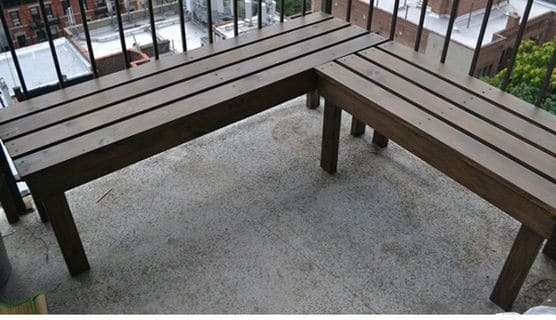 Are you still looking at the different structures and shapes of benches we’ve made over time but you actually don’t have an entire yard to work with and you’d have to put your finished bench out on a little balcony? In that case, we think you’ll get along quite well indeed with this awesome tutorial from Furnish Yourself that’s purposely made small and square to fit specifically in the corner of a sunny balcony sized to the average apartment! 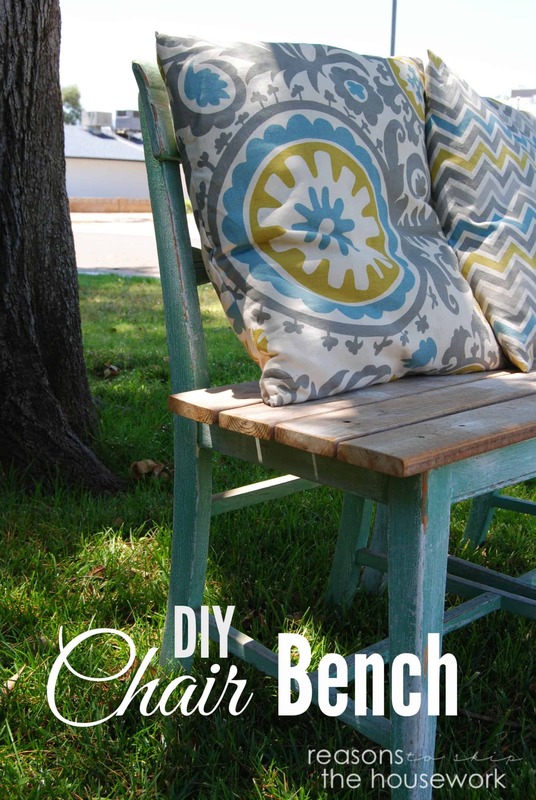 Whether you’re planning on adding a cushion to a bench that you bought from a store or already have or whether you’re hoping to put it on at the end of making a bench of your very own, we’re pretty sure this tutorial from My Love 2 Create will be able to help you out quite a lot! They guide you step by step through the process of upholstering the top of a wooden bench to make it a bit more comfortable. Are you decidedly still looking for something that’s really quite simple in design, since your woodworking skills are slowly evolving but still a little limited but you’re also intent on making one that has a bit of an interesting extra feature? In that case, we think you’ll really appreciate the way Jay’s Custom Creations made theirs from appealingly raw looking wooden planks and even completed a set of little outdoor side tables to match! Have you actually been scrolling through our list thinking about how you’ve seen all kinds of materials, techniques, and shapes that actually will work for what you’re picturing, but you just can’t help wanting something a little bigger in size? 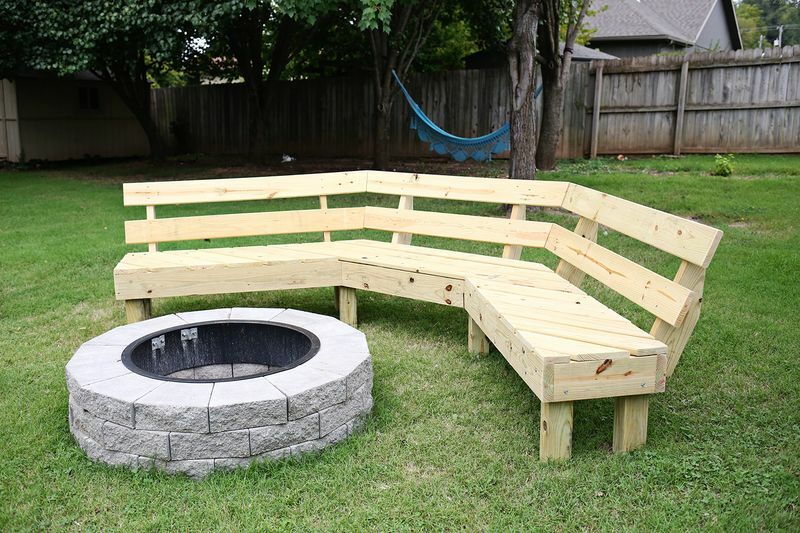 In that case, we have a feeling this fantastically curved and much bigger wooden fire pit bench outlined step by step on A Beautiful Mess might be a little more along the lines of what you’re looking for! Do you know another DIY enthusiast or avid crafter who has been wanting to make a wooden bench of their own from scratch for a while now but who has also said they could use a bit of inspiration and guidance? Share this post with them so they have all kinds of information, help, and ideas!